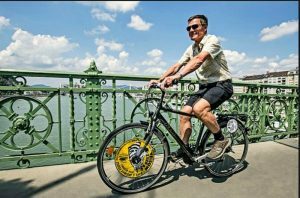 In the last few few years Budapest has started becoming more and more bike-friendly. And so it follows that more and more visitors choose this enjoyable way of exploring the city. If you would like to get yourself some wheels, there are plenty of options for hiring bikes in the city. Make a plan! Have an idea where you’d like to go, what you want to see so you can choose the right sort of bike for the geographic conditions. 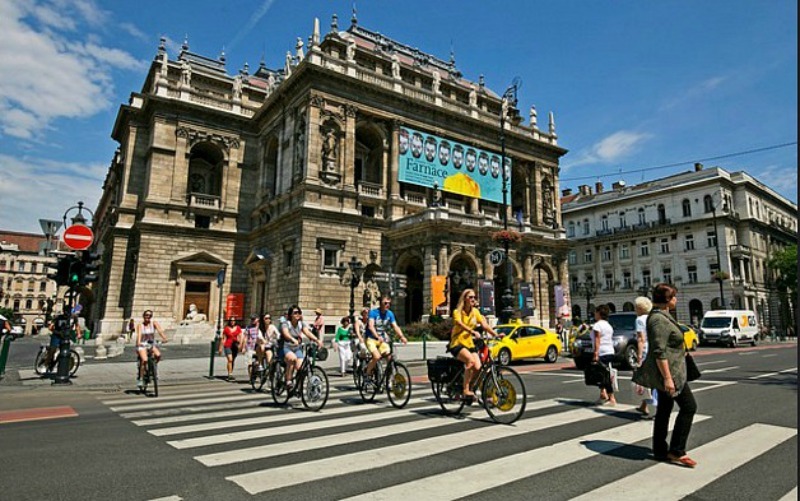 Look into the cycling rules and bike paths in the city. Make sure you have cash with you. Most places don’t accept your passport, mobile or girlfriend as deposit, but require cash deposit. Check the shop’s opening and closing hours for return, plus their phone number just in case of unforeseen events. It can also be helpful if you have a map with the shop marked on it. After choosing your bike, check the brakes, gears, and generally make sure you feel comfortable with it. Get a lock and lights if you plan on keeping the bike overnight. 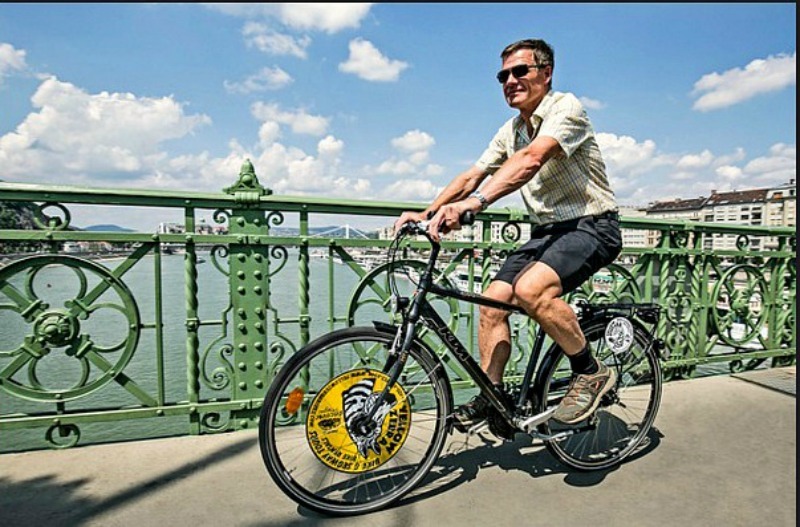 Ask for a helmet if you need one (it is not compulsory in Budapest). If you go for a bigger trip ( outside the city), ask for a pump, repair kit and first aid kit as well. Before you hit the road, make sure you have water with you! Be ready for different weather conditions (raincoat, sunglasses, gloves in winter etc. might come in handy). 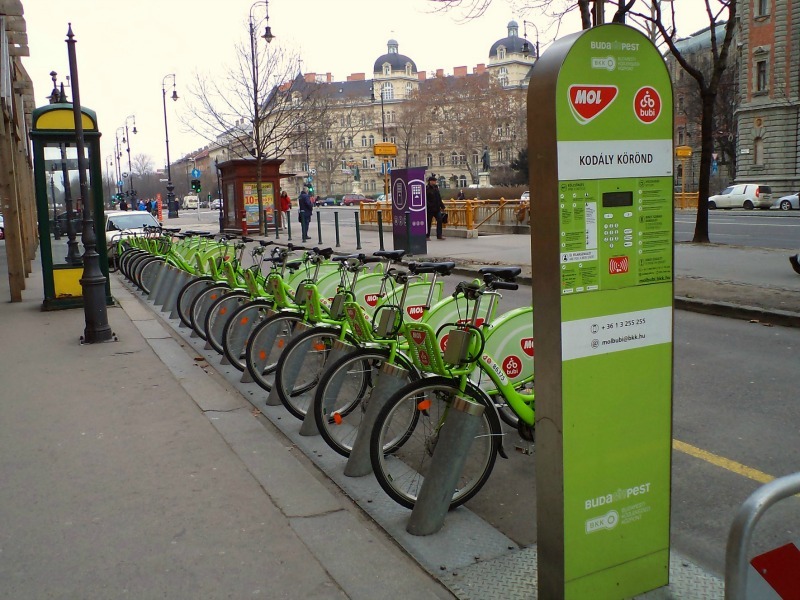 For short distances within the city you can also try the public bike rental system. It’s called Bubi (massive green bikes, parked in large numbers all over the city). First of all you will need to find a station with a touch screen terminal. Here you can zip through the registration process after which you can purchase a ticket or pass. You’ll need a bank card to make a pre-authorization deposit for each bike (please note that unblocking the amount on your card can take up to 2 weeks after the rental, depending on your bank). Once you’ve signed up, you will get a code so you can pick up a bike wherever you want. After use, you can just drop it at any of the docking stations. The system is really designed to encourage commuters to use bikes rather than cars. To this end short journeys of less than 30 minutes are free, with the fees stacking up every half hour after that. The whole system is automatized. Because it does’t use the same software as other public bike sharing systems in Europe, it’s more prone to minor difficulties, and is certainly not the most intuitive in the world.